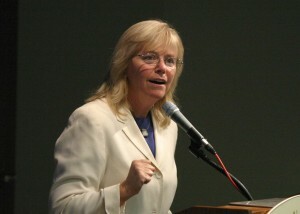 Filmmaker and author Jean Strauss, herself adopted as a baby, has written several books about adoption. Both The Great Adoptee Search Book (1990) and Birthright (1994) guide adoptees through the process of searching for their birth family and are considered valuable resources in the adoption community. 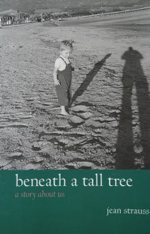 Strauss' book Beneath a Tall Tree (2001) describes the author's s own search for her birth family. "This incredibly funny and touching journey redefines the meaning of family and celebrates the universal connections that link us all". says one reviewer. Strauss also co-authored two books with Charmian Carr about the film The Sound of Music. 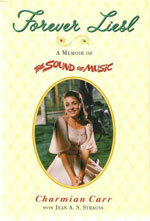 Forever Liesl (2000), a national best-seller, describes the making of the movie and the impact it had on Charmian Carr who played Liesl in the movie. 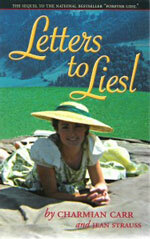 Strauss and Carr’s second book, Letters to Liesl (2001), looks at Carr's enduring popularity with her fans and a trip Carr and the six other actors who portrayed the von Trapp children take back to Salzburg, decades after the film. For more information on Jean Strauss go to http://www.jeanstrauss.com/.